It is often said that “litigating an employment case costs an arm and a leg.” Fortunately, our team has the arms and legs needed to help you achieve justice. To schedule a free initial phone consultation with Alan C. Olson & Associates, s.c., contact us through this website. hybrid fee structure (fixed fee plus hourly, or hourly plus contingency, for example). A fee contingent upon success may be advantageous to you in a civil case where time delay and cost are definite factors. The services of an attorney may be beyond some clients’ means if he or she were required to pay hourly on an ongoing basis. Furthermore, since a portion of the attorneys’ compensation is dependent upon the success of the case, the attorneys have an incentive to exert the best effort on behalf of the client. A modification to the contingent fee arrangement through an advance non-refundable fixed retainer compensates attorneys where there is a strong likelihood that taking on the client will (or did) preclude the attorney from taking on another present or future client, the experience, reputation, and ability of the attorney warrant the use of such a fee, and the attorney promises to render the services requested and will be available to fulfill that promise. The value of those promises is separate and distinct from the value of the future services to be rendered. These non-refundable fees become the property of the attorney upon receipt and are refundable to the client if the attorney is discharged for good cause, withdraws from representation prematurely, or emergency circumstances exist which would frustrate the intent of the representation. A free initial phone consultation will determine what type of case you have, and what its likely life cycle will be. 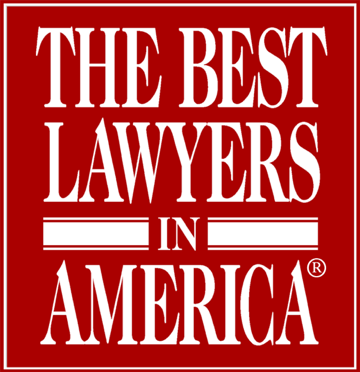 Contact Alan C. Olson & Associates, s.c., to schedule your consultation.